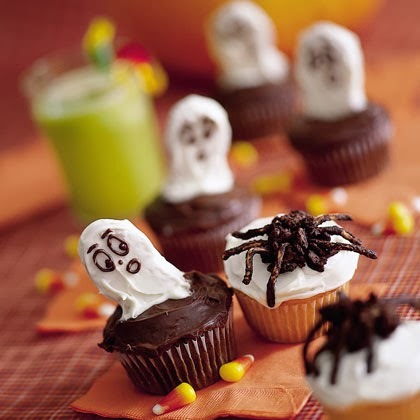 When Halloween is around the corner, you are surely busy with preparing house decorations, treats and Halloween menu. 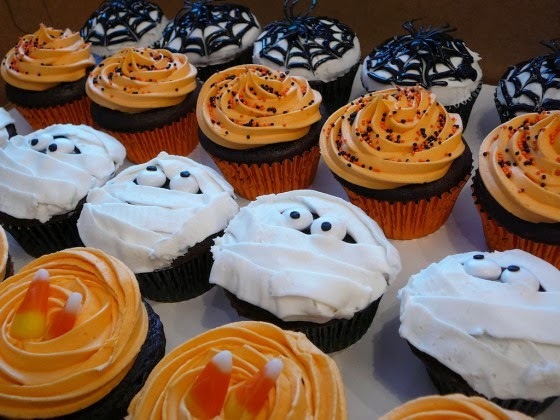 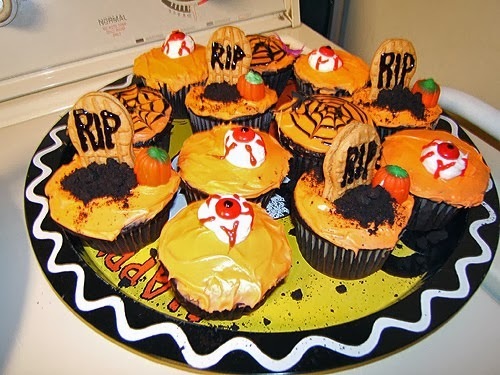 The idea of introducing Halloween themed cupcakes for your guests is always nice and even funny. 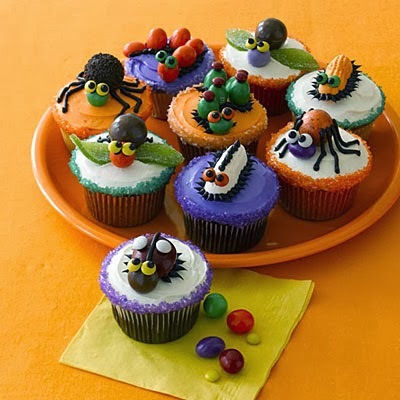 You can use different colors of chocolate, cream, fruit pieces and small decorative objects like spiders, skulls and bats. 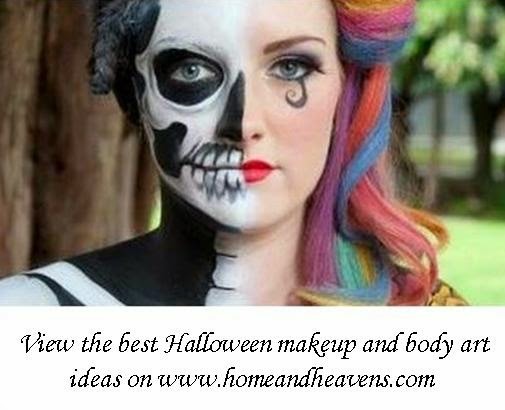 All these amazing elements will help you to create very scary and very funny themes. 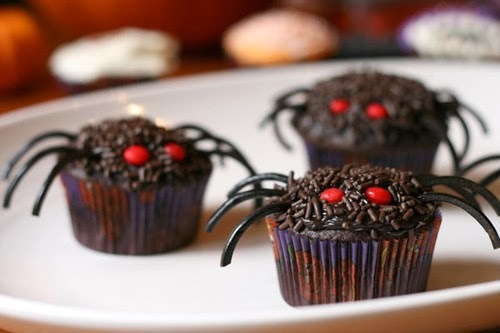 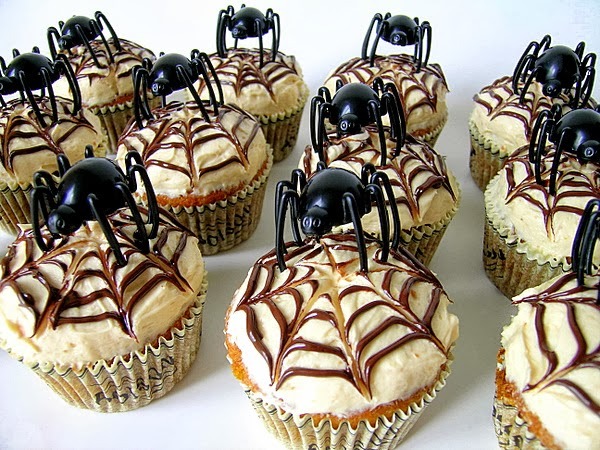 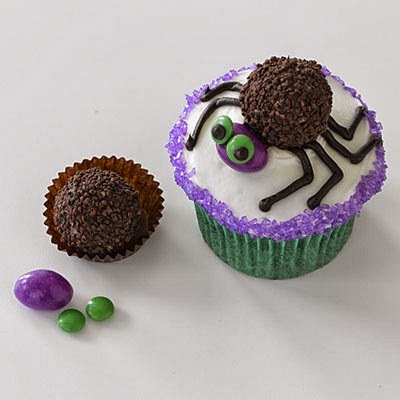 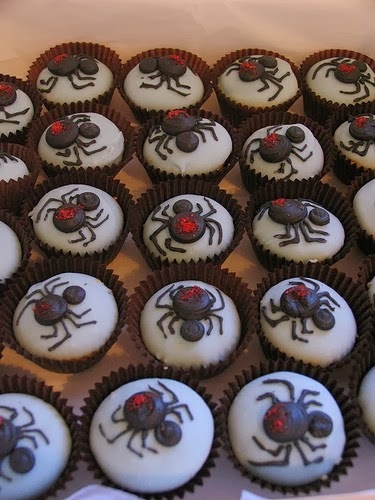 Using Chocolate in making big spider cupcakes is a lovely idea that will appeal to your kids. 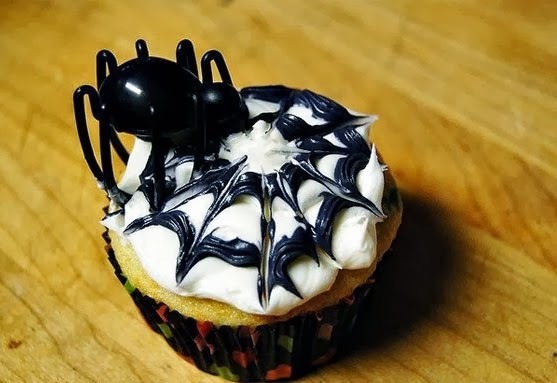 You can make them using salty biscuit sticks which you dip in liquid chocolate and keep in certain arrangement in the freezer to form the spider legs. 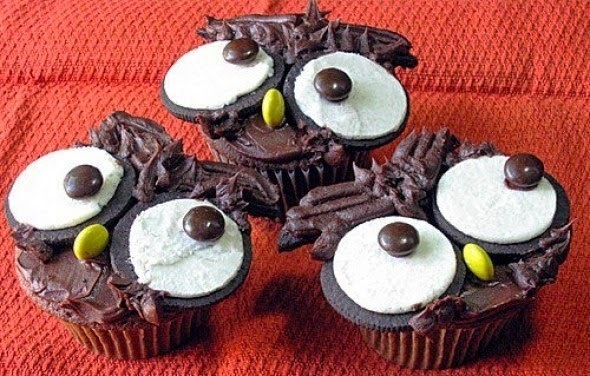 You may also cover the cupcakes with grated chocolate and use cherry pieces or candy to create the eyes. 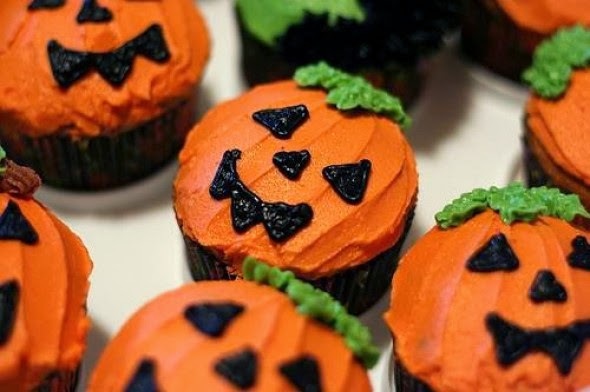 Drawing Jack-O-Lantern and ghost faces on the cupcake surface is an amazing and very easy idea to do with colored cream. 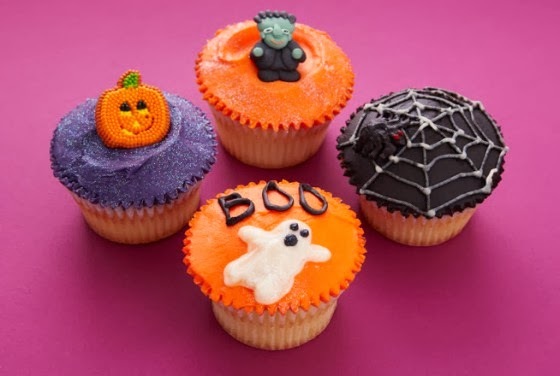 You may ask your kids to give you a hand and draw whatever they like; owl and animal faces, small insects, grave stones, ghosts and monster faces… all are beautiful shapes and your kids may even take picture with the cupcakes in the Halloween Eve to glorify their magnificent art.